Shall we play a game? 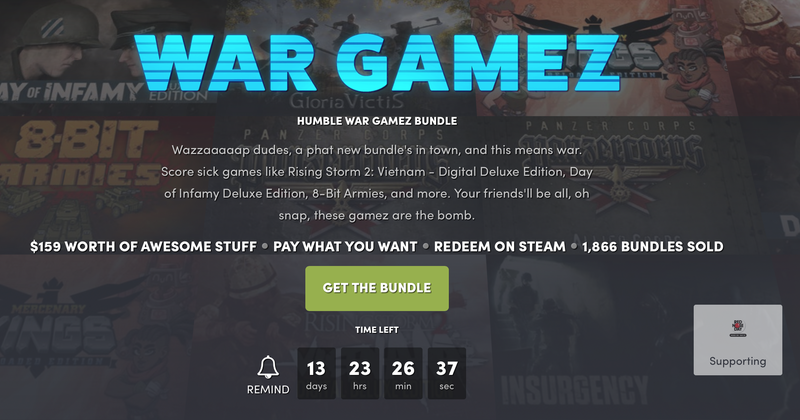 Humble’s newest bundle features eight games all about war strategy, including Rising Storm 2: Vietnam, 8-Bit Armies, Day of Infamy, and more. Plus, Humble Monthly subscribers get a $2 Humble Wallet credit when they pledge $10 or more.